Get everything you need to know about Grace's first day of trial right here! Outside the court, Veena reports that it has been nine weeks since Grace was arrested for the murder of Molly Ryan and that today is the day that she goes on trial. She goes on to say that Stan has never lost a case. 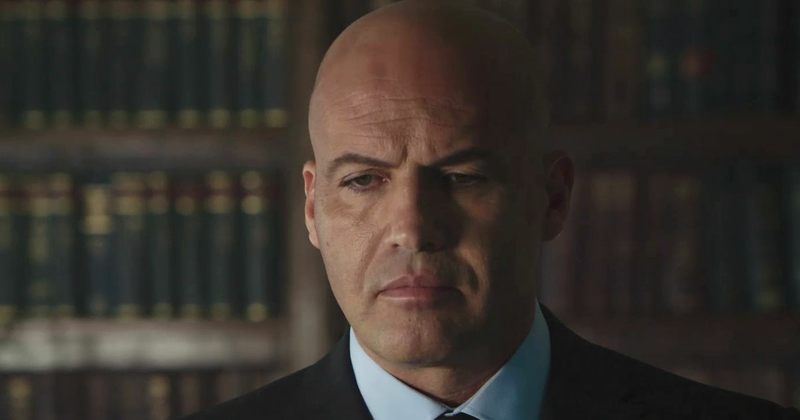 We also learn that Bruno has left the force after it was discovered that he planted evidence in the case of Donovan Trimbly. Veena ends her report with the statement that the jury will decide whether Grace is innocent or guilty. Interspersed with her speech, we see Natalie help Grace get ready, and Stan preparing himself for court. Stan and Gwendolyn battle it out! 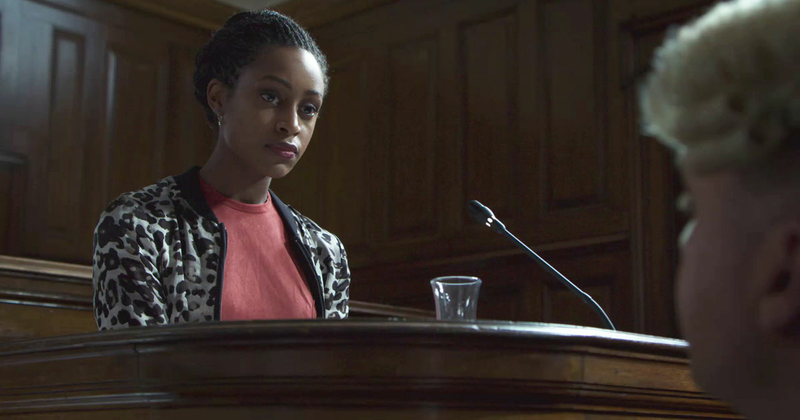 In court, Gwendolyn focuses on the fact that Molly was a university student with a bright future whereas Stan reminds the jury of her involvements with the Courtenay. 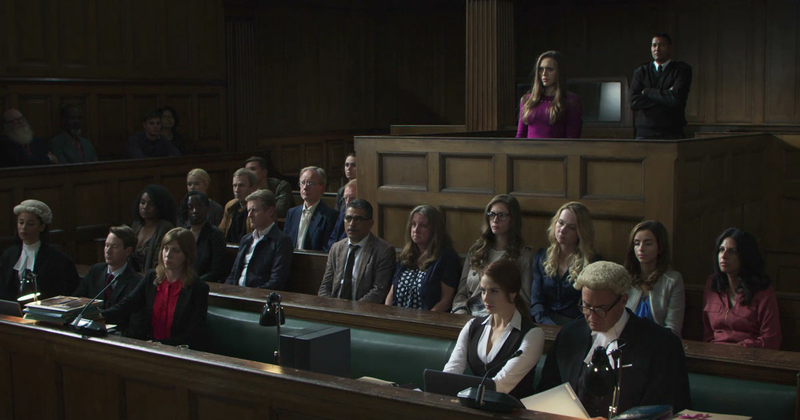 Stan also tells the court that Molly was having an affair with a client who had everything to lose if Molly had his child, and that they have a witness who puts the father at the scene of the murder. Court is adjourned until the next day. Pike arrives at the motel that Bruno is staying in and asks Bruno whether he really wants to go through with his decision to testify against Prince Theo, but Bruno is adamant that another killer will not go free because of him. Later, Bruno leaves his motel room to get ice and encounters Phillip. Meanwhile, Natalie visits Neville and helps him practice for court. 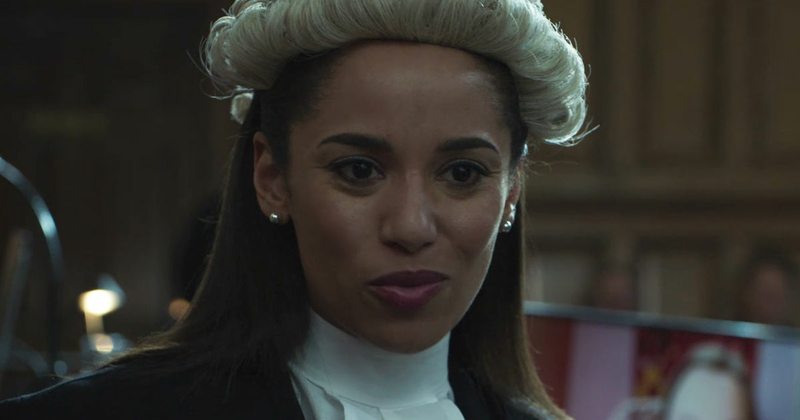 Worried about how intense it might get in court, Neville decides that he doesn’t want to testify, but Natalie manages to persuade him. While watching the news, Patrick learns that Prince Theo will be at the opening of a hospital and makes some notes. He hastily hides these notes when Kaley returns home. Kaley tells Patrick that she wants to move to Australia, but Patrick says they don’t have enough money. Later, Patrick is upstairs on his boat. He is hiding his gun when Gwendolyn arrives. She tells him that she needs him in court to represent Molly. Prince Theo is pacing and reading the newspaper headline, ‘Find The Daddy, Find The Baddy’ when Phillip arrives. Phillip spots Prince Theo's burner phone on the table and confronts him about it. Prince Theo assures Phillip that he hasn’t “rung the girl once” referring to Kaley. 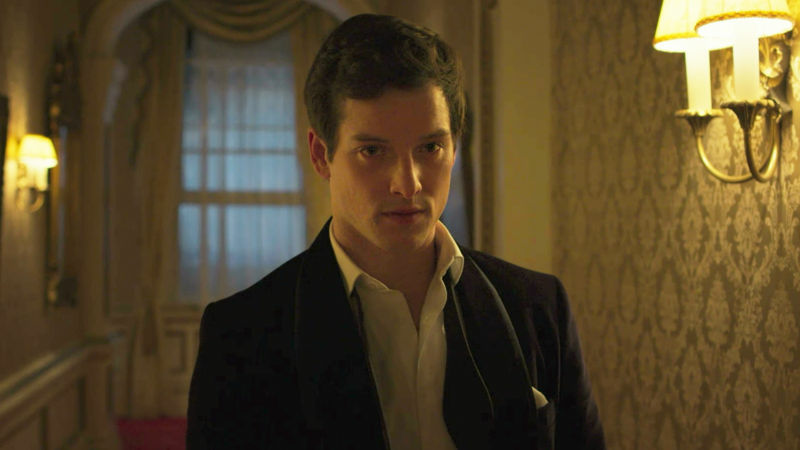 Phillip tells Prince Theo that his compulsions are leading Prince Theo into trouble and that he must try and keep them under control. Prince Theo gets extremely angry that Phillip is trying to tell him how to behave. In court, Luc is called as a witness. 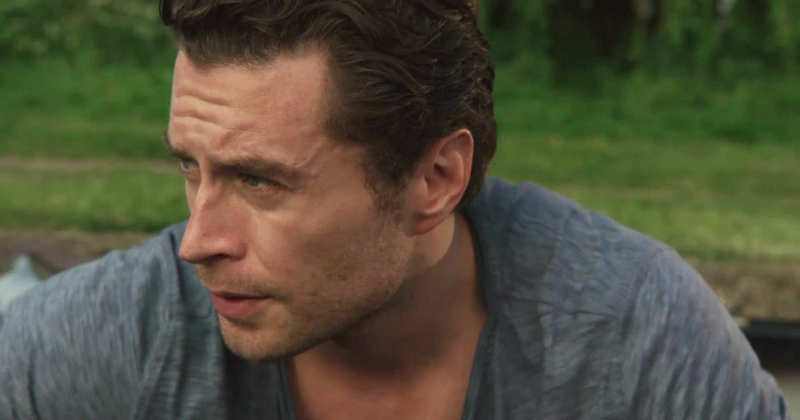 Luc is adamant that Grace didn’t kill Molly and tries to tell her that he loves her, but is told to be quiet by the judge. Gwendolyn hands Luc a piece of paper and asks him to read the bracketed section out loud – it is his statement from the time he told the police that Grace was gone from the roof for close to an hour. 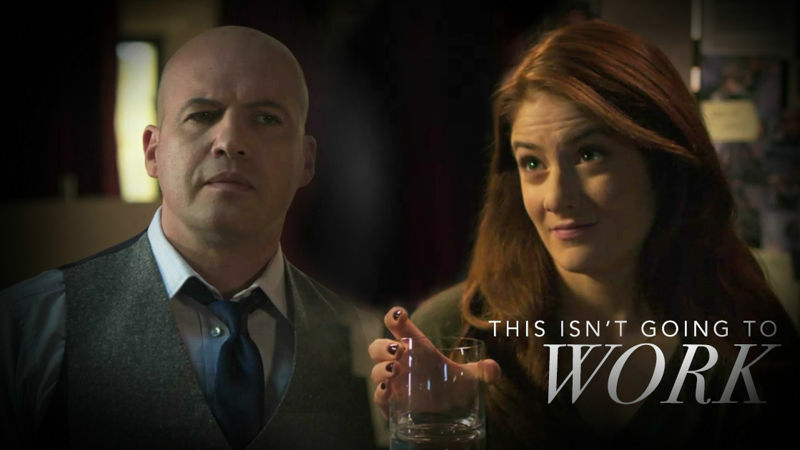 Gwendolyn then plays an audio recording from the time that Grace visited Luc in prison and Luc told her that what happened the night Molly was killed would be their secret. Grace is driven back to prison and the driver, Josh, tries to start up a conversation with her. Grace tells him that she used to think if she was innocent, the jury could never find her guilty, but now she’s not so sure. Josh tells Grace that he doesn’t think she killed Molly. Grace asks him if he could play some music. 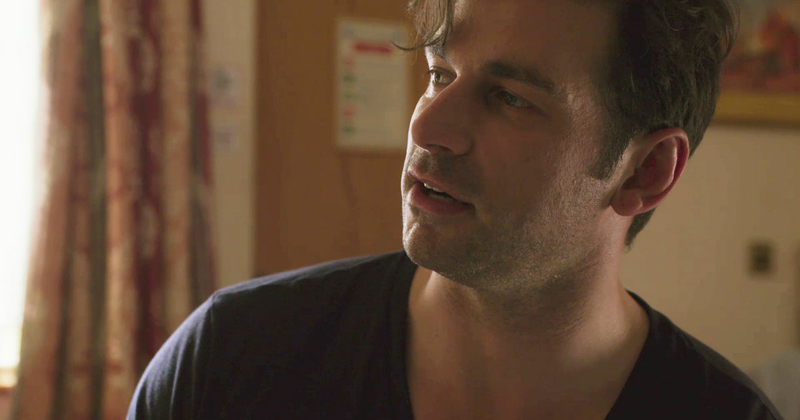 Later, Josh tells Grace about all the horrible things that prisoners have done to him. Grace asks him why he doesn’t do something else and he admits to her that he would like to live on a farm. When they get to a set of lights, Grace asks him to drive away from the prison. Josh is angry that Grace could have asked him to do such a thing, but Grace passes it off as a joke. Did Neville really commit suicide?! Natalie visits Neville and finds a commotion when she arrives at the hospital. 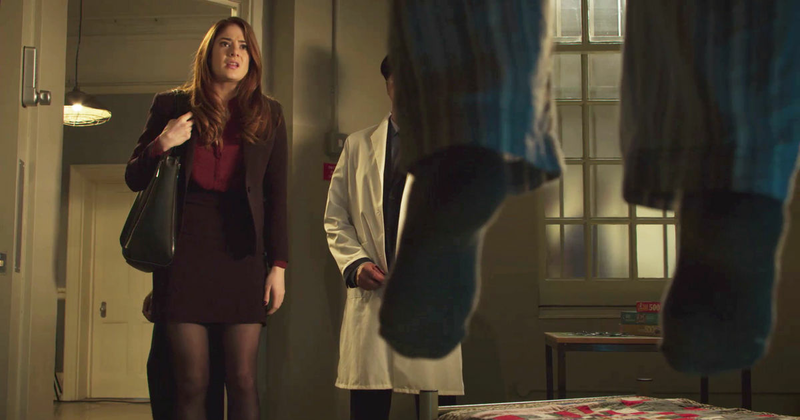 She makes her way into Neville’s room where she finds out that he has hung himself. Later, Natalie tells Stan that she thinks that Prince Theo had Neville murdered. She wants to tell the police, but Stan says they must wait until the right time in the trial to reveal Prince Theo’s name. He reminds Natalie that they have Bruno to testify against the royal. Bruno is called as a witness! In court, Stan calls Bruno to the stand, but when he questions him about tampering with evidence in the Molly Ryan case, Bruno refuses to answer anything. Afterwards, Pike tells Bruno that the painting in the photo of Molly and Jessica Marshall is in a Hertfordshire estate. Bruno tells Pike that Prince Theo met Molly in Hertfordshire and wonders if he had something to do with Jessica’s disappearance. Natalie comes out of the court room and confronts Bruno about refusing to speak about Prince Theo. Bruno tells her that he was scared it would endanger Natalie. He then tells her about the estate in Hertfordshire and they leave to investigate it together. Stan and Gwendolyn are in the judge’s office. 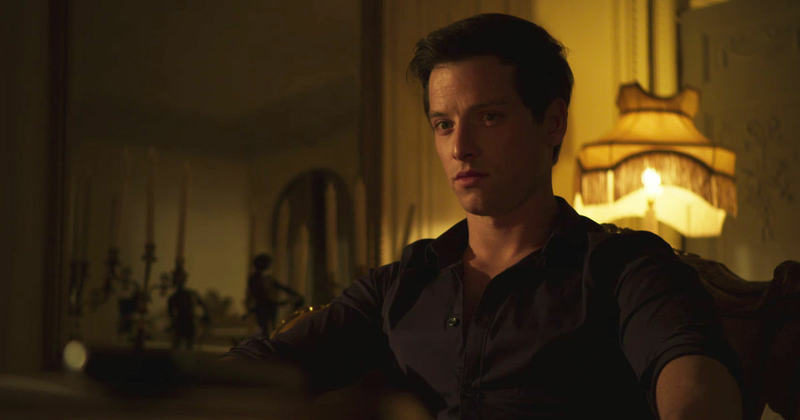 Stan tells the judge that Neville’s death was most likely a homicide, and that he wants to put forward another witness – Prince Theo. 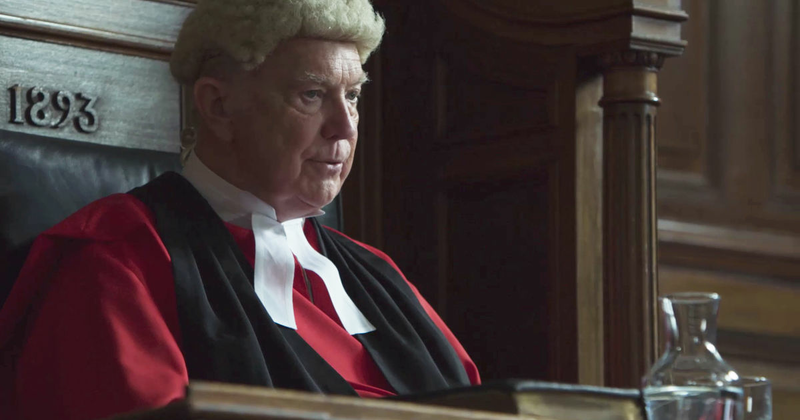 The judge can’t believe what he’s hearing and tells Stan that Prince Theo cannot be called as a witness. Stan asks for a brief recess so that he can find another witness. Later, Stan arrives at Luc’s flat to talk to Roz. He tells her that a former client of his has just opened a new club and has agreed to let Roz DJ there for four months IF she agrees to be a witness. Stan and Natalie arrive at the Hertfordshire Estate, but are not allowed in. Natalie approaches the gardener and tries to ask him about Jessica Marshall. 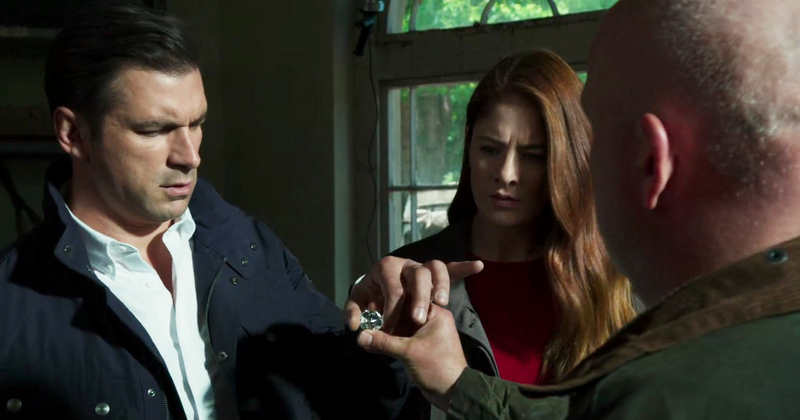 They show him a picture of her and shocked, the gardener leads them to a shed where he shows them an earring that is an exact match to the one that Jessica is wearing in the photo. The gardener says that he found it in the back of the woods two days after Jessica was last seen. Meanwhile, Patrick is on his way to the hospital that Prince Theo is opening. He is met with security who tell him that the street is closed, but he manages to come up with a story and is let through. Roz is called to the stand. Stan questions Roz in court. She reveals that Prince Theo was a client of the Courtenay and that he paid a steep premium for Molly to be exclusive to him. The court gasps, but the judge stops Stan from asking anymore questions and arrests him for contempt of court. The judge tells the jury to disregard Roz’s statements. Later, Prince Theo angrily paces as he watches the news unfold about what happened in court. He throws a glass at his fireplace and it smashes into pieces. Meanwhile, Patrick meets with Declan. He tells him that nothing will come of Roz’s statement and that he’s annoyed because it meant that Prince Theo canceled his appearance at the hospital. Declan tells Patrick that he should get to him through Kaley. 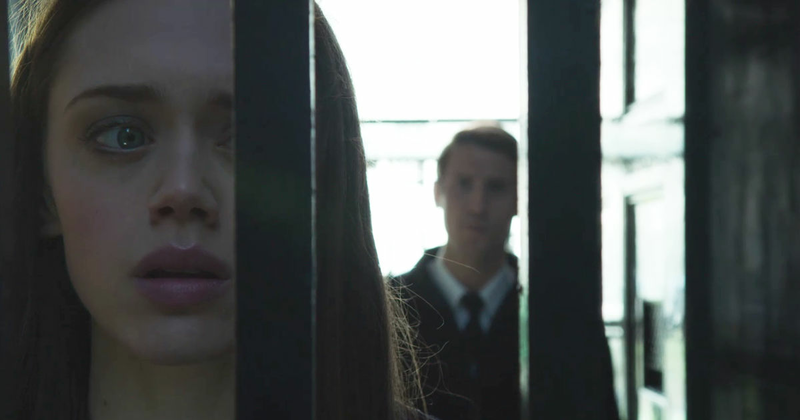 Grace goes back to prison. 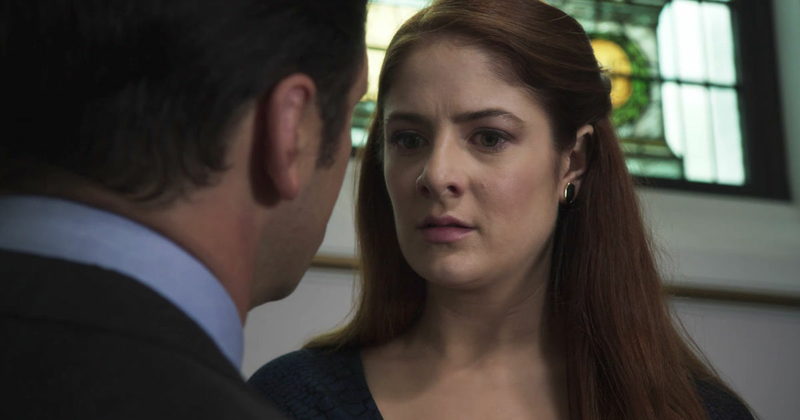 As Josh leads Grace back into prison, she tells him about the trust fund that James set up for her and that if she’s found guilty, she would have no one to spend it on. She suggests that Josh could have it and that he could live in the country with her, but before anything else can be said, a guard comes and leads Grace back into the prison. Meanwhile, the police find Jessica Marshall’s body at the Hertfordshire estate! Prince Theo gives in to his compulsions! Prince Theo calls Kaley and tells her that he needs to see her, but Kaley refuses. Prince Theo then offers her £10,000 and Kaley, needing the money to get her to Australia, agrees to meet him the next afternoon. He gives her an address of a flat. Across town, Patrick is wire tapping their exchange on his phone. Meanwhile, Josh approaches Grace’s cell and wakes her up. He tells her that if she is found guilty the next day, they can disappear on their way back from court. Grace replies with, ‘get me out of here’.